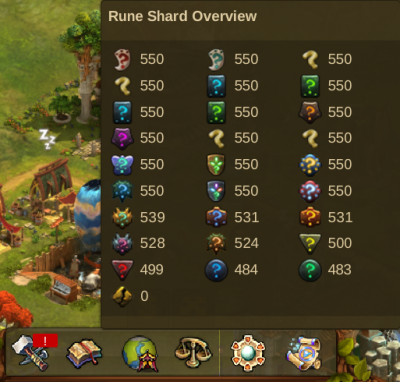 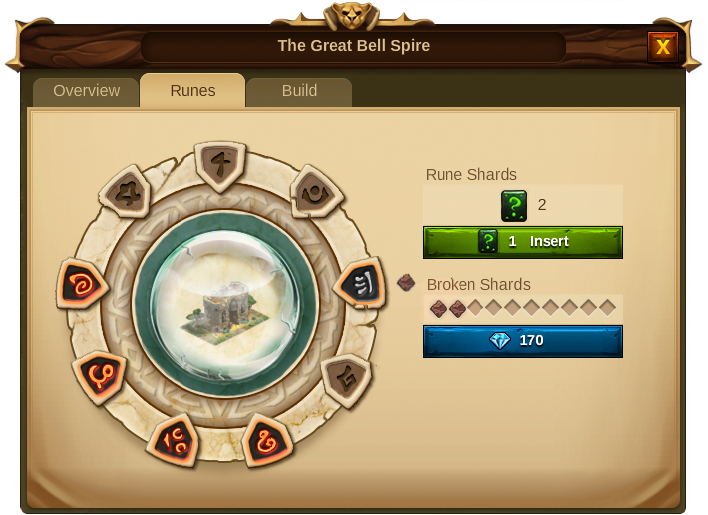 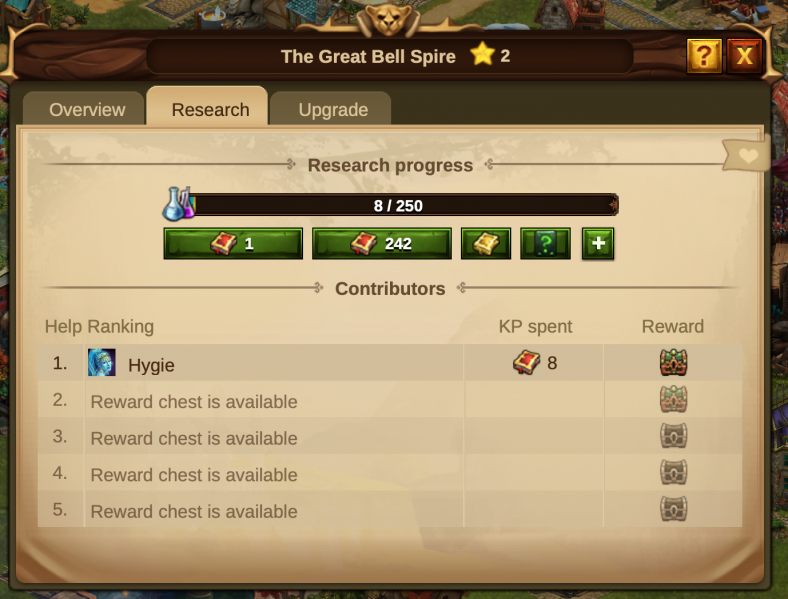 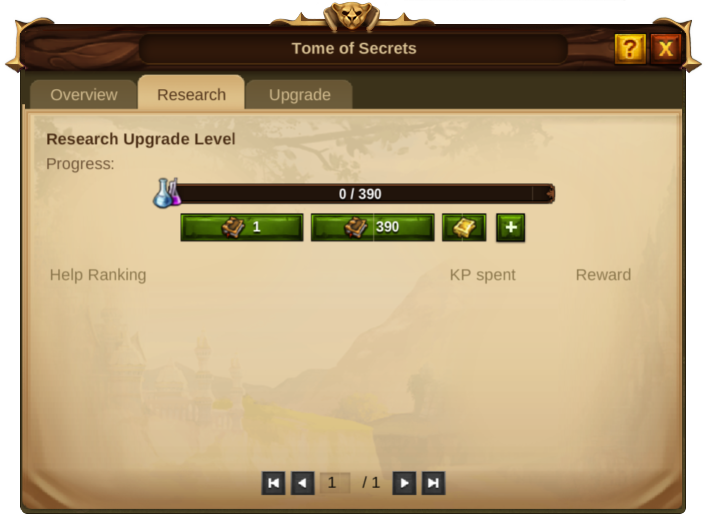 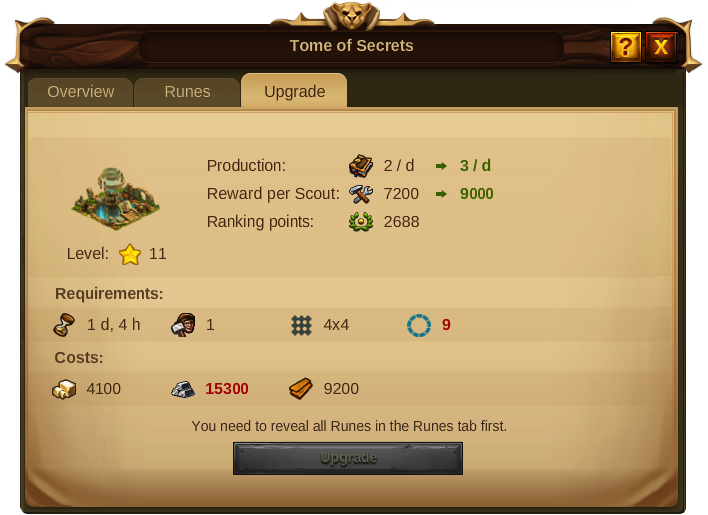 As explained, building an Ancient Wonder is a 3 steps process: Research its technology on the tech tree, activate the 9 runes and pay the required Goods. 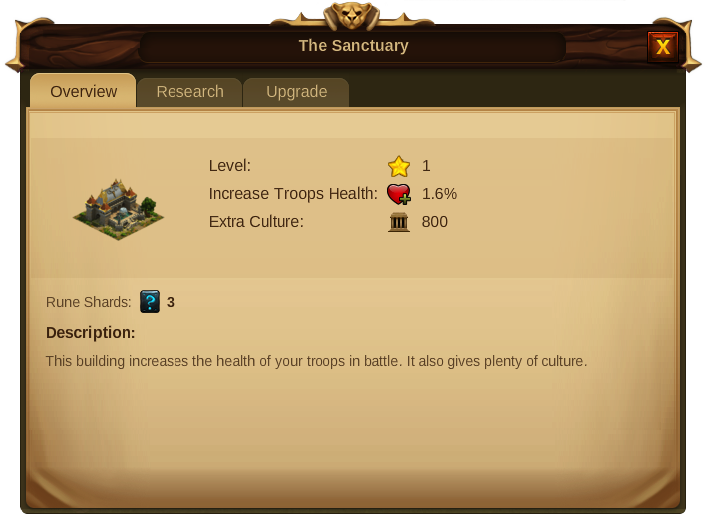 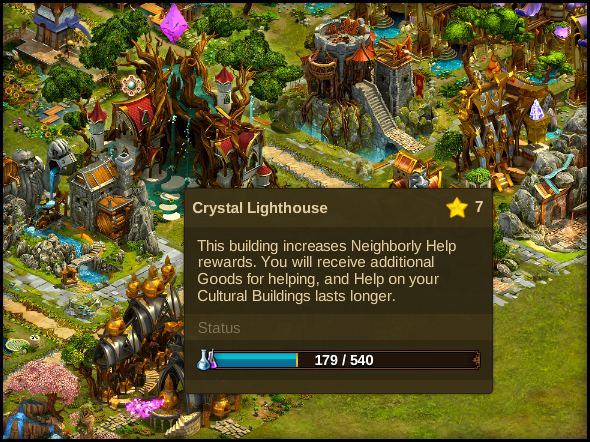 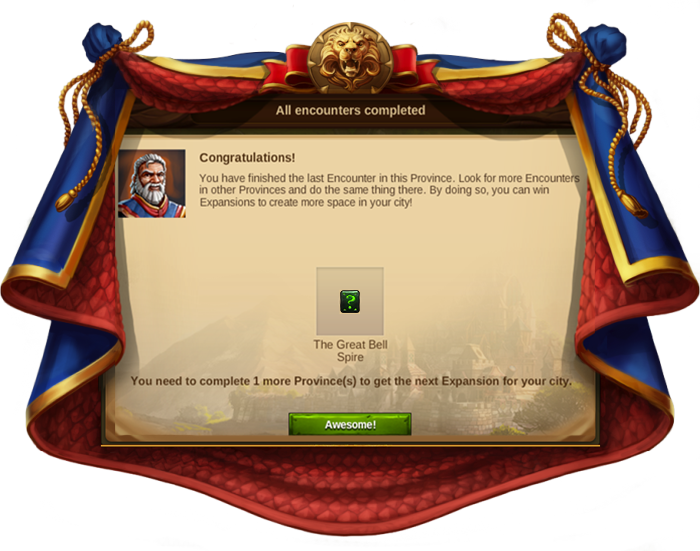 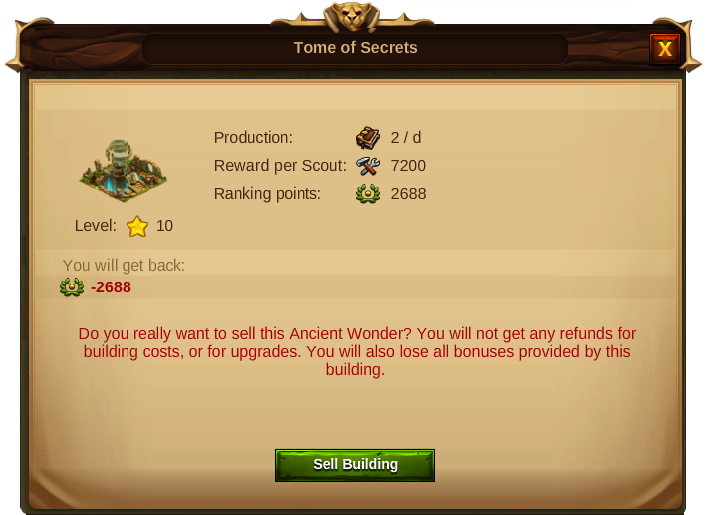 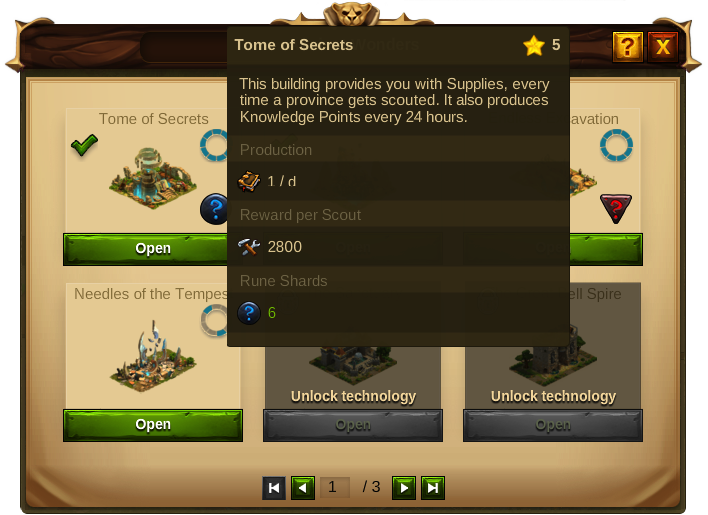 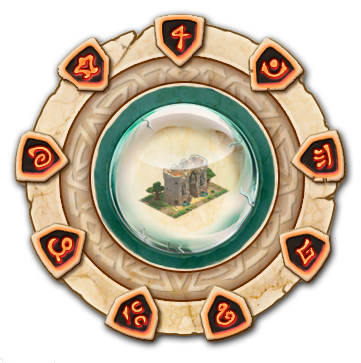 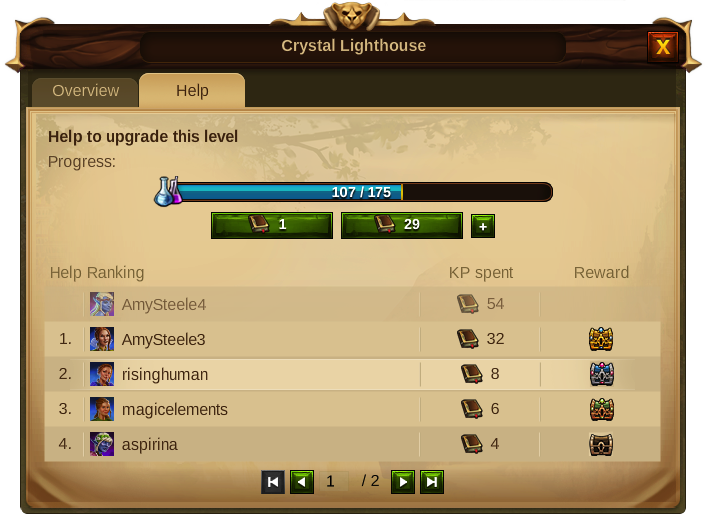 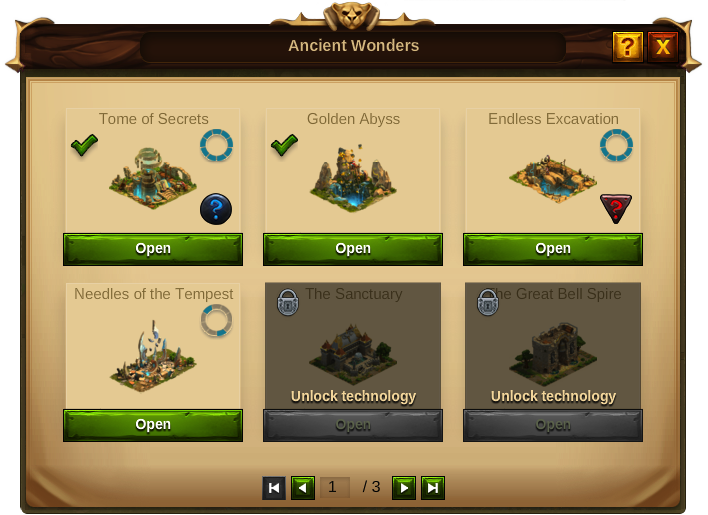 Once an Ancient Wonder is placed in your city, its bonus is immediately activated for your city in level 1, but you can increase those bonus by upgrading the building up to level 30. 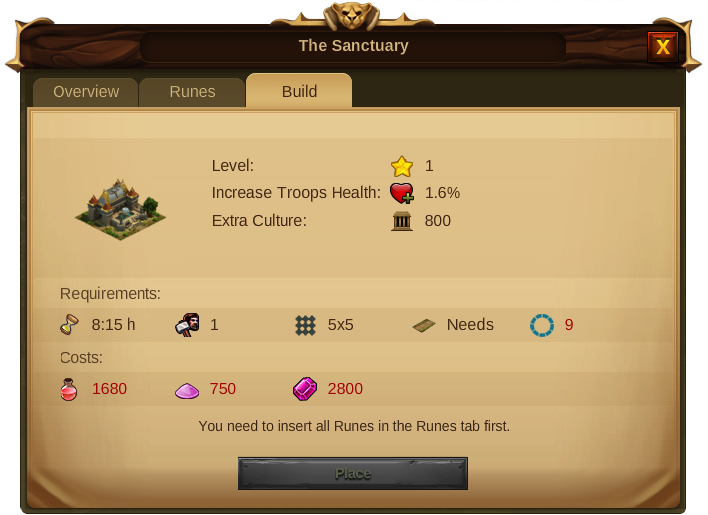 This page was last modified on 13 April 2019, at 17:06.